Broken Bow, a new live music promotions company based in Liverpool, have announced their launch with two shows featuring legendary punk bands Buzzcocks and Sham 69. The first night, which will be headlined by Sham 69 takes place on November 10, while the Buzzcocks gig takes place a week later on November 19. Both events will be held at the Kazimier. Broken Bow, a new venture by Everisland’s Samuel Garlick and Chris Tyler, is aiming to bring iconic and breaking punk bands to the city, and will be officially launched with the Sham 69 gig at the Kazimier. 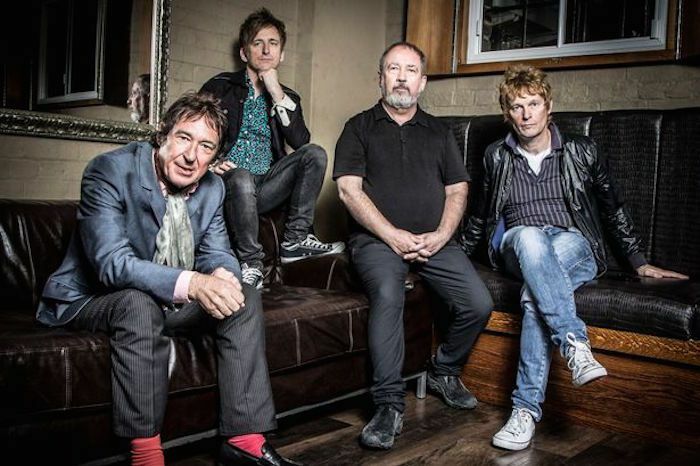 Buzzcocks, who made their name performing classic tracks such as Ever Fallen In Love, are considered one of the most important bands of the 1970s punk scene, and will be returning the city having first played at the first incarnation of the legendary Eric’s club back in 1977. Founded by frontman Howard Devoto and Pete Shelley in 1976, they released nine studio albums between 1978 and 2014. Sham 69, who still tour with several of the original members, have a just as impressive background as Buzzcocks, having received commercial success with five Top 20 singles throughout their career, including Hurry Up Harry, Hersham Boys and If The Kids Are United. The Kazimier performance sees the band return to the city having played at Eric’s back in 2014. Tickets for both events are now available, with Sham 69 priced at £10 and Buzzcocks priced at £18.50.